Since students finished the AP Computer Science exam, they have started brainstorming the developing their capstones. Due to school closing due to weather, I postponed capstones until after the AP exam this year. I was surprised at how in demand the whiteboards were. 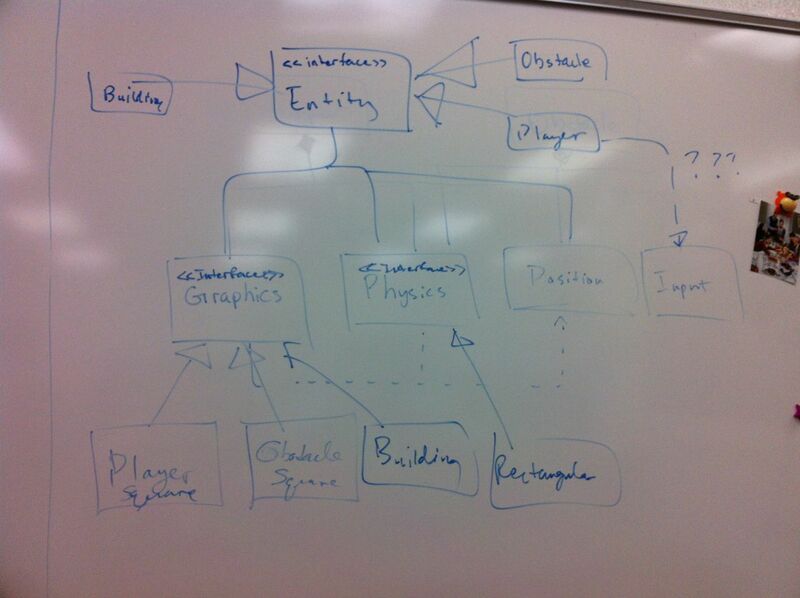 One student worked through quite the design class diagram.